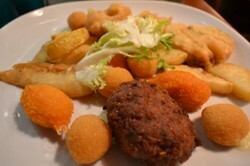 If you ever travel to Venice, Italy, you will hear talk of or see references to cicchetti - but what is it? Think of cicchetti (pronounced "chi-KET-tee") as the Venetian equivalent of Spanish tapas. They are small, bite-sized snacks served in traditional bars and informal restaurants (osterias), to be sampled and enjoyed along with a cocktail or small glass of wine. They are typically eaten in the evenings, as local Venetians will travel from bar to bar, taking a taste from here and a taste from there - or perhaps put together a plate of "small bites" at one bar to make for a casual light dinner meal. Cicchetti can also be fun and easy to prepare at home - especially for a themed dinner or party where your guests can pick and choose between many different foods to enjoy. (Another benefit of cooking cicchetti for a party is that it is often meant to be prepared in advance, and served chilled, at room temperature, or only quickly rewarmed before serving.) I'm thinking of doing a cicchetti theme for my annual holiday party this December, and recently put together a cicchetti plate as my audition dish for MasterChef Season 5 - see the photos of what I prepared below! 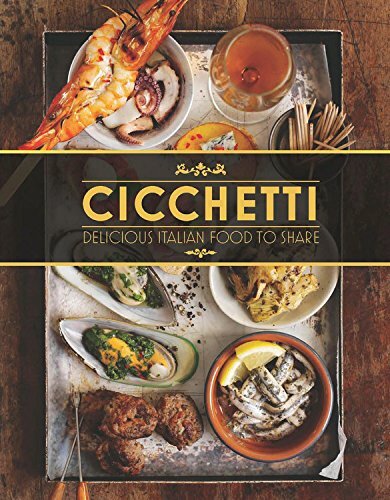 Several of the recipes I prepared for this cicchetti "feast" came from the cookbook Cicchetti and Other Small Italian Plates to Share, by Lindy Wildsmith & Valentina Sforza. 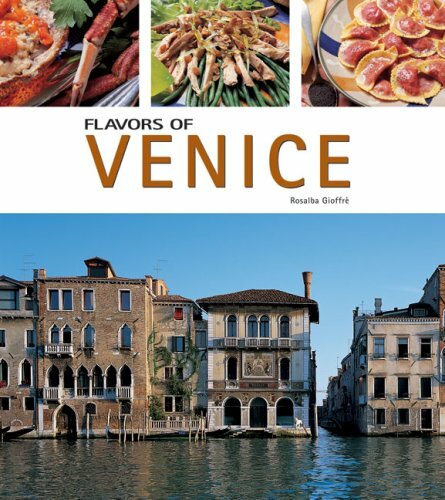 This beautiful book features a wide variety of traditional and unique Venetian recipes, all designed to be served in this fashion as small bites, snacks or appetizers. 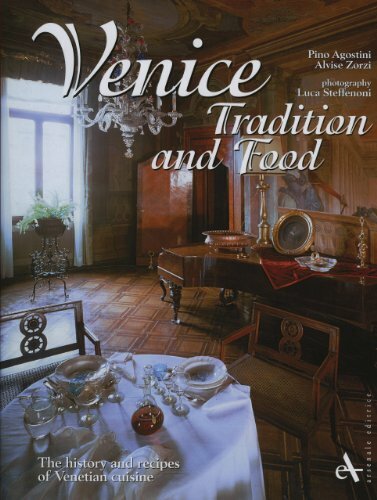 While focusing primarily on the regional cuisine of Venice, the book also features small plates from other parts of Italy including Calabria, Apulia, Campania, Lazio, Sicily, Umbria, Piedmont, Tuscany and Le Marche. It's a wonderful "culinary" journey with beautiful full-color photos of most of the dishes - and easy to follow instructions. With few exceptions most of the ingredients used are not hard to find, at your local supermarket or an Italian specialty market. I've really enjoyed cooking with this book so far and look forward to trying many more recipes in the weeks to come, as I plan and prepare for my holiday feast! 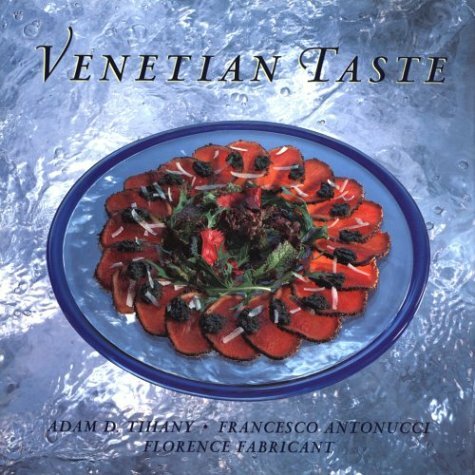 If you are interested in Venetian food and more recipes for cicchetti, these other books are highly recommended - by me! I've used them all and some recipes from them are spotlighted in the photographs below. Can't get to Venice, Italy any time soon? Then get a taste for the city and its traditional cicchetti bars in these videos. After watching them, you may want to pick up one of these featured cookbooks and get to work preparing these tasty bites yourself! Have you ever tried cicchetti? Or been to Venice? Your comments and thoughts are welcome! Never heard of cicchetti. Good introduction. Good luck with the cooking show! I love tapas, dim sum, cicchetti … whatever you want to call them! Only problem is you can't eat just a “little”. It's definitely a Venetian specialty you don't hear much about outside of Venice (and most Italian immigrants to America historically come from Naples and further south, so the food traditions in the US related to Italian food tend to be more Southern Italian than Northern. I grew up in an Italian household in New Jersey but I've never heard of cicchetti. It would be great for a cocktail party to serve small portions of an assortment of foods. Love it!